Contributing to Gabe’s Chemo Duck is part of CBL & Associates Properties, Inc. larger effort to support our community and give back to others. CBL Malls are pleased to announce their partnership with non-profit organization Gabe’s Chemo Duck Program, which was founded by Lu Sipos after her son Gabe (“Country Strong”) was diagnosed with cancer. Fourteen mall properties in the southeastern United States are teaming up with Gabe’s Chemo Duck to raise funds and awareness for the organization through Mall Waddle events, a “Dollar Ducks” campaign and Adopt-a-Duck programs. CoolSprings Galleria (Franklin, TN), RiverGate Mall (Nashville, TN), Hamilton Place (Chattanooga, TN), Madison Square Mall (Huntsville, AL), Old Hickory Mall (Jackson, TN) and Volusia Mall (Daytona Beach, FL) are hosting Mall Waddles - a fun, family-oriented event allowing the community to join in their efforts. This walk or “waddle” around the interior of the malls will raise both awareness and funds for Gabe’s Chemo Duck organization. Registration fees are $30 for adults, $15 for children under 10, and children under the age of 2 are free. 100% of the registration fees collected will be donated directly to Gabe’s Chemo Duck Program. Persons of all ages are encouraged to participate in this non-timed event. Strollers are welcome. For more information or to pre-register, please visit a mall management office or http://gabesmyheart.givezooks.com/events/mall-waddle. These malls are also supporting the cause by selling “Dollar Ducks” - paper ducks that customers may purchase for $1 or more. Purchased Dollar Ducks will be displayed prominently at each of the fourteen CBL malls in the Nashville Region. Also participating in the Dollar Ducks campaign are Georgia Square Mall (Athens, GA), Gulf Coast Town Center (Fort Myers, FL), Hickory Hollow Mall (Nashville, TN), Lakeshore Mall (Sebring, FL), Panama City Mall (Panama City, FL), Village Mall (Auburn, AL) and Walnut Square Mall (Dalton, GA). Dollar Ducks will be available for purchase through Saturday, March 5, 2011. 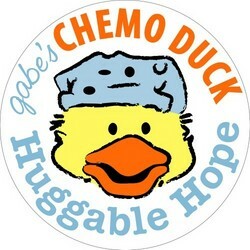 Gabe’s Chemo Duck Program is a program of the Nashville-based nonprofit organization, Gabe’s My Heart. Established in 2004 to provide education and comfort to children living with cancer through medical play using therapeutic tools, Gabe’s Chemo Duck Program has provided more than 5,000 ducks to children around the world. The goal of the program is to enable hospital staff and parents to prepare children for chemotherapy treatment and eliminate the fear of the unknown. Chemo Duck is a stuffed yellow duck dressed in blue hospital scrubs with a bandana around its head, a chemotherapy port on its chest and an immobilizer on his arm. In a gentle, age-appropriate manner, children learn what to expect during cancer treatment and have a friend to share the experience. In turn, children can use Chemo Duck to help friends, siblings and classmates to understand and empathize with their experience. To learn more, visit http://www.ChemoDuck.org. CBL & Associates Properties, Inc. Gwyneth Paltrow and Chemo Duck's Gabe Sipos walk the red carpet at the premiere of their new film "Country Strong" in Nashville.